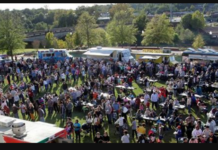 “Street Food Thursday” is a street food extravaganza incepted some time ago as a way to peacefully combat “newly revised” regulations on street food vendors in Atlanta and also to attract visitors for the Woodruff Arts Center. The whole “street food” phenomena is somewhat new to the Atlanta area. 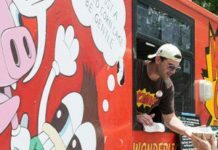 What we call a street food vendor is referred to as a food truck on the West Coast or a bodega on the East Coast; however, Atlanta is working toward putting a new flair on those old concepts. 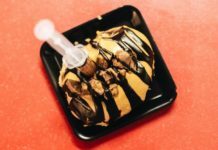 By holding a host of street food festivals, round ups, picnics and summits, Atlanta has already, perhaps unknowingly, created a street food culture. 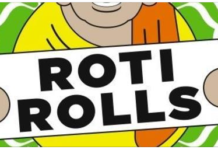 In addition to Southern “foodie-ism”, this culture is surely ramping up to be one of great popularity. 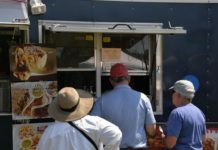 In many inTown neighborhoods, regular street food vendors are more popular than mainstay restaurants like McDonalds and Taco Bell; and the fact that many street food vendors cater to niche clientele, improves their rapport with the people. 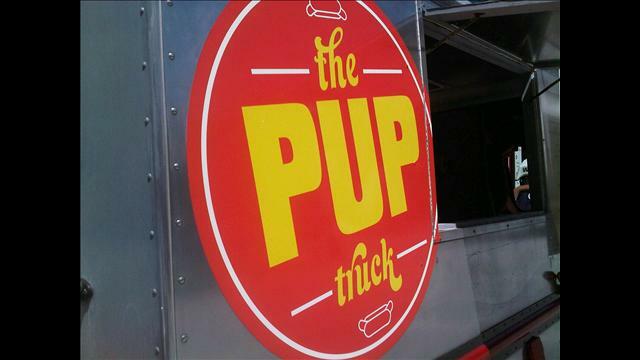 However, there are many factors that have contributed to street food’s sudden spike in popularity in Atlanta. Some think the city is maturing and developing the characteristics of a big city. Others don’t care, they just like the food. So, how do you find a street food vendor, you ask? 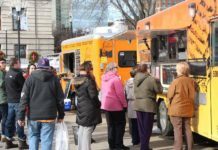 Street food vendors are popular, however, they are often hard to locate; so we’ve created a mini directory of the food trucks we know of and how to find them. An artisan ice cream truck, yeah, Westside Creamery’s got that. This truck full-o-treats is all fresh, all the time. Every batch of ice cream that leaves this truck is made of milk from the Johnston Family Farm in Newborn, Georgia. 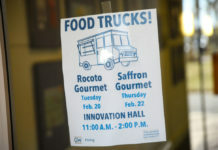 This, obviously, very local truck is a favorite to many because of its local, organic ingredients. For more information on this truck’s schedule follow them on Twitter: @WsideCreamery. 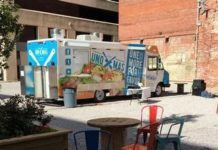 Everyone’s favorite Buckhead lunch nook has a flying vehicle and of course it’s a soup truck. Buckhead Soup Diva, Souper Jenny heads into the streets every so often in her flying soup mobile. The soup mobile carts soups from the restaurant to the masses. And if you’ve ever been to Souper Jenny, you know it’s good. Follow @SouperJenny on Twitter to catch the flying soup mobile in action. 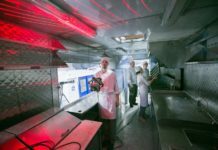 Thought a mobile woodfired oven was impossible? Think again. S&J’s Woodfired Pizza comes to you. 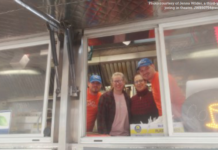 Created by two part-time emergency nurses, this food truck is unique, to say the least. 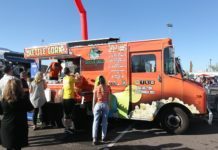 The truck can be found at festivals and concerts around town. According to street foodies, their pizza is “pretty tasty”; we’d like to imagine it as a Southern “Jumbo Slice”. For more on their appearances, visit their blog. Dogs on Wheels is a classic hot dog bodega or stand however it moves. The hot dogs sold at this stand are fresh and grilled to perfection. The stand uses a signature “garlic spicy” marinade and every dog is brushed with this combo into char-broiled oblivion. Give them at try. To find out their location, email or stop by 1086 Piedmont Avenue. Hummingbird Street Food has an Ina Garten feel to it. 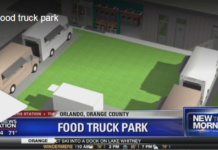 It’s a classy, bistro style food truck that uses all local and seasonal ingredients. This truck is more obscure than the others; however, to track its whereabouts, visit the truck online. 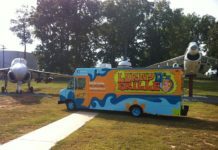 El Burro Pollo is a cool, kind of mobile burrito stand created by Chef Hector Santiago of Inman Park’s Pura Vida. 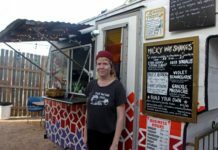 Every week on Saturday and Sunday this food truck is open from noon until “the chicken runs out.” The truck is usually parked in the parking lot across from Pura Vida, however it moves from time to time. Follow the chicken burrito on Twitter: @elburropollo for the details.